Warning signs are usually yellow with black markings. This sign indicates the presence of a crosswalk, regardless of if it is marked on the pavement or not. 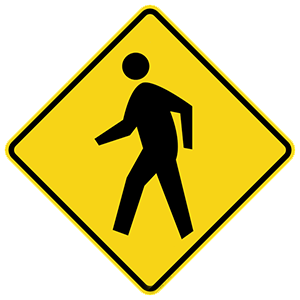 Upon seeing this sign, you should be alert and allow any pedestrians to cross the road safely.